Want to get more encouragement, tips and find out more about our family life, click here to follow my blog! Check out my TOP posts! Hi! I'm Laura. Follower of Jesus. Wife to Hiroshi. Mummy to the ever adorable Kara and Ted. 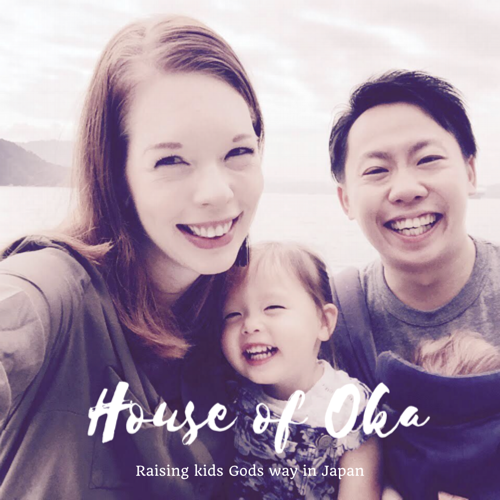 I love interior, I love reading, I love crafting with my kiddos, I love my church and I love living in Japan! I am here to encourage and uplift families living in Japan or else where in the world. Please join me as I grow as a mum and share my adventures! Check out Photo’s of our Family!